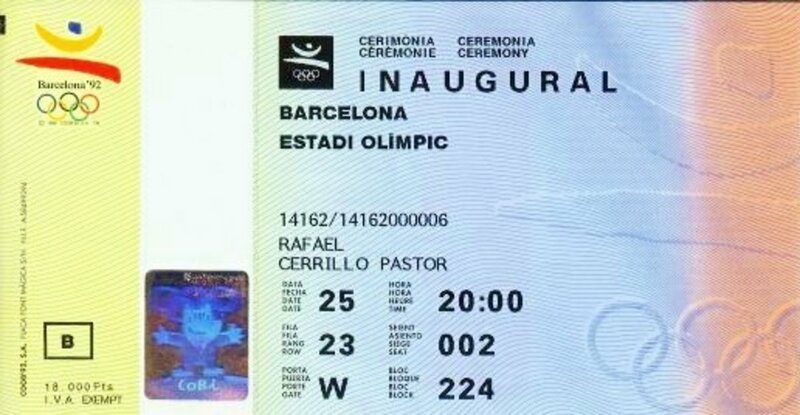 During the summer Olympics in Barcelona the trip that my husband had won afforded us several days of viewing specific Olympic events that we had requested as our preference. Those decisions were made before the trip to Spain was ever begun. In most cases we were given the tickets to see those personally preferred competitions. But then we were also presented with options. We could turn in those coveted tickets and instead choose to go on tours in Barcelona. Since we had never been to Barcelona we decided to do some sightseeing as a mix of our experiences in that beautiful city. Park Guell which was the architect Antoni Gaudi's creation was a part of one afternoon city tour. We were so happy to have gotten to see this creative architect's dream of a Utopian urban environment. We had never previously seen anything remotely similar nor have we viewed anything to equate to it since that time. Antoni Gaudi was born in 1852 in the town of Reus. He was a sickly child who had rheumatic fever so he spent quite a bit of time alone taking walks in the countryside. Probably because of spending so much time in natural settings he fell in love with nature which later represented itself in most of his creations. He came from a family of coppersmiths. Gaudi went to architecture school in Barcelona and graduated with a degree in 1878. The vast majority of the buildings he created are centered in and around Barcelona so one can easily become acquainted with his highly individualistic style of architecture. With a deep knowledge of geometry he eschewed the current construction methods of the time. Instead he chose to incorporate more sculptural forms inspired by nature using products like stone, wrought iron, wood and ceramic tiles. His unique buildings are easily recognizable from most others and Antoni Gaudi was a leader in the Art Nouveau or Modernist style which utilizes colors and curving forms. Gaudi never married and died in 1926 a few days after being run over by a tram. The work for which he is probably the most famous is a great Gothic church called the Sagrada Familia is still to this day under construction. Antoni Gaudi is buried in a crypt inside that church. From 1900 to 1914 Antoni Gaudi created what he had hoped would become a wonderful housing project for people in Barcelona. 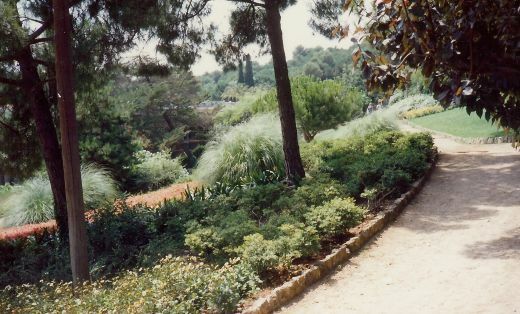 This location was on top of a hillside on 37 acres of land about 30 minutes from downtown Barcelona. It offered a wonderful panoramic view of the city below and it was to be a garden like setting for 60 residential lots for luxury homes. 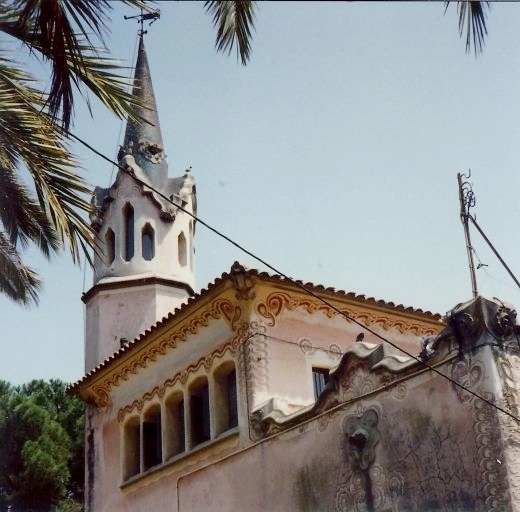 This project failed financially and only three houses were ever built in addition to the ones that Count Eusebi Guell and Gaudi had constructed for themselves. Our guide speculated that this was perhaps just too far a distance outside of the center of the city at the time to draw enough people to that location to want to live there. Despite the fact of cleaner air and glorious views few people were enticed to purchase lots and have houses built. So today it survives as a beautiful and unusual city park open to visitors from not only Barcelona but the entire world to enjoy. 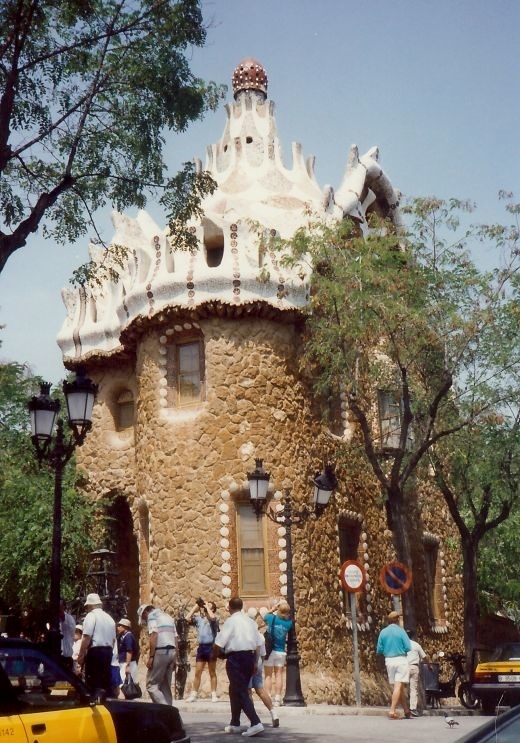 Shows the inside of Gaudi's house in Park Guell as well as wonderful exterior photos of the park. The house in which Antoni Gaudi once resided is now a museum filled with curvaceous furniture also of his own design among other furnishings. 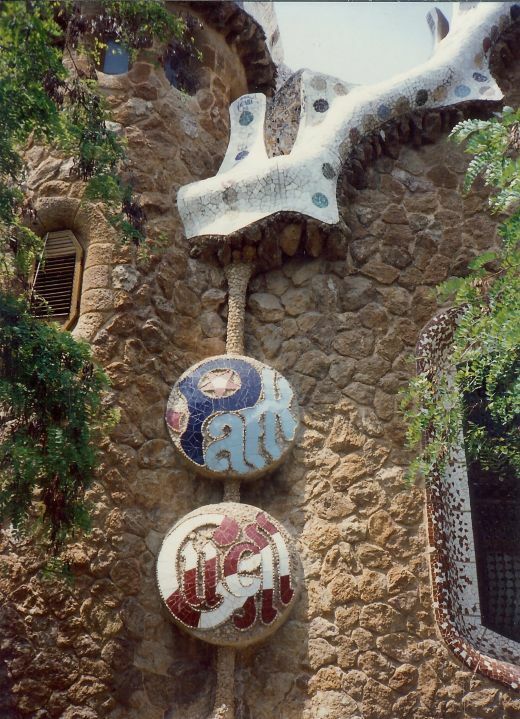 Brightly colored bits of broken china and glass are incorporated into the design one sees immediately at the entrance to Park Guell. 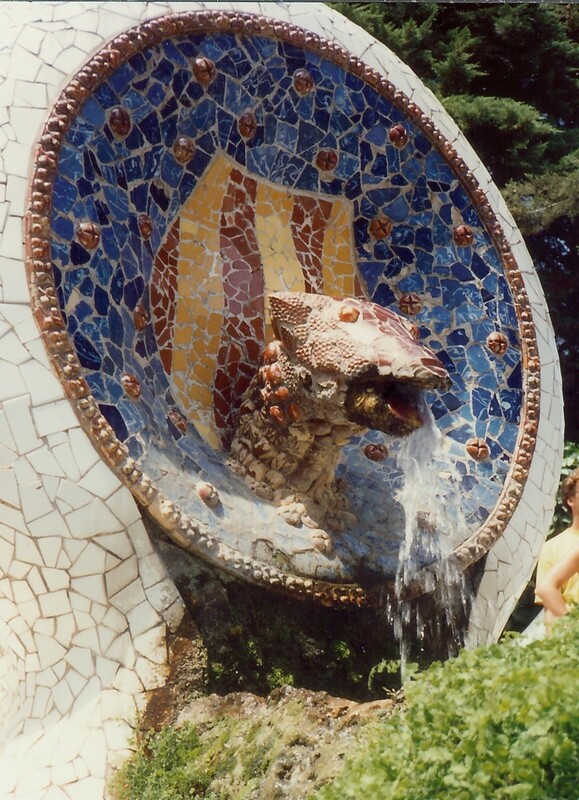 Colorful dragon heads pour water from their mouths. An iron gate has a Palmetto palm design incorporated into it. There are definitely no straight lines! Pathways through the park twist and turn. Along one path there are big round balls that are supposed to represent beads of the rosary. Antoni Gaudi was a devout Catholic which is why he spent the last years of his life committed to the building of "his" cathedral, the Sagrada Familia. 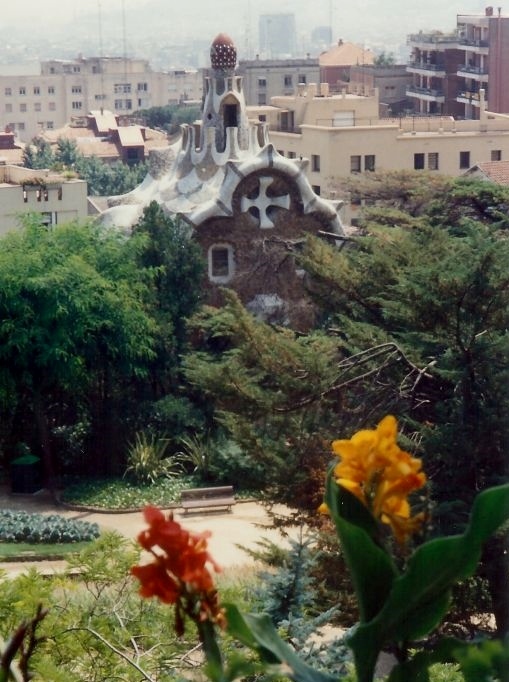 The buildings in Park Guell have a Hansel and Gretel appearance especially when looking at their fantastic rooftops. What we found to be of great interest was the elevated public area. 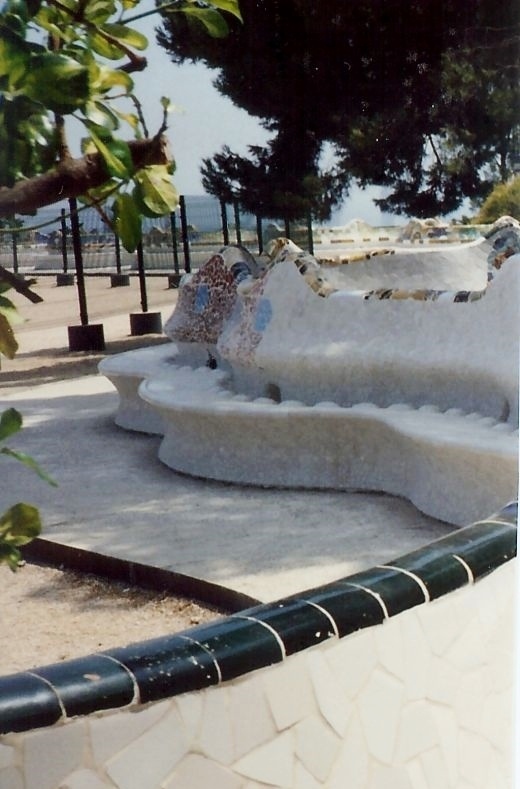 It had an undulating bench bedecked with the bits of colored pottery where people could rest and just enjoy the ambiance of the beautiful scenery. Gaudi had taken a mold of one of his worker's back and then designed the anatomically correct bench seating we were told by our tour guide. In the center of this was a huge area containing sand. This was a finely designed water collection and storage system. Thick yards of sand in this elevated portion of the park filter rainwater. Directed through the 86 Doric columns underneath the raised park area the filtered water was collected and stored in a reservoir. This was to have provided the residents with clean and good drinking water. Now the rainwater is utilized to keep the gardens watered when necessary. 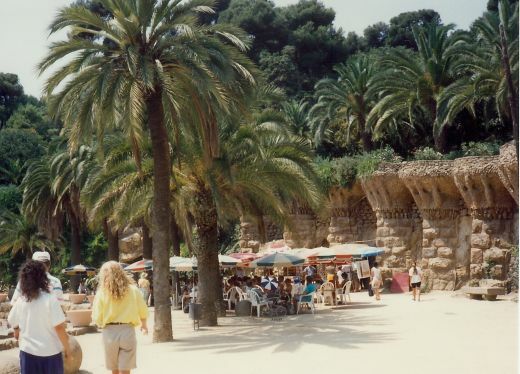 Under this columned and shady area (with sand and benches above) was to have been a public market had Gaudi's Utopian residential environment succeeded and been populated with people living there. Even the underside of this columned area is decorated with huge medallions of colorful tile work. Although utilitarian in nature it was not neglected when it came to being decorated with artistic creations. 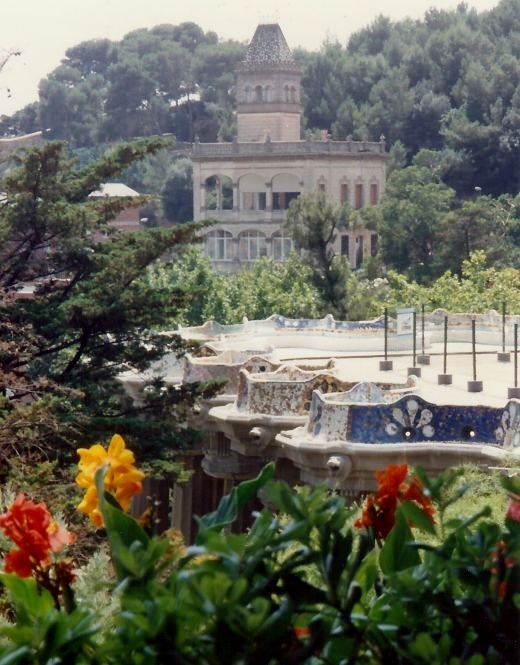 Barcelona's Guell Park in Spain is a treat for the senses. Combining a nice stroll through the gardens while getting to see the work and creations of one of history's most original architects is a pleasant experience we will not soon forget. His utopian environment will persist in our memories as well as delight tourists to that area seeing it for the first time over and over again. Are you familiar with Antoni Gaudi's architectural wonders? We realized that it was far from finished. Nice to hear that they have an end date in mind. Sorry that this ended up in the spam filter and I just discovered it. Thanks for your comment. The Templo de la Sagrada Familia is Antoni Gaudeds masterpiece. Building this neo-gothic cadrethal (not to be mixed up with the Gothic cadrethal in the Barri Gf2tic) is still unfinished. People aim to have the work completed in 2026, 100 years after Gauded died. The building activities are mostly financed by the income from ticket sales to visitors, different excursions from visitors to school trips. Even though the Sagrada Familia is a beautiful building already, work is not even close to being finished. The two facades with each 4 towers still only represent the side-entrances. The front as well as the highest towers and dome are still to be constructed. Nice that you also got to see the works by Gaudi except for his apartment block in Barcelona. Great city! We are so glad that we opted for some tours and got to see things like Park Guell, the Sagrada Familia, etc. instead of just seeing Olympic events. Naturally we did some of that also. Thanks for your comment and votes. This brought back the memories of a trip to Barcelona. Fortunately, I was able to enjoy all these delights by Gaudi. I missed his apartment block though. Voting this Up and Beautiful. 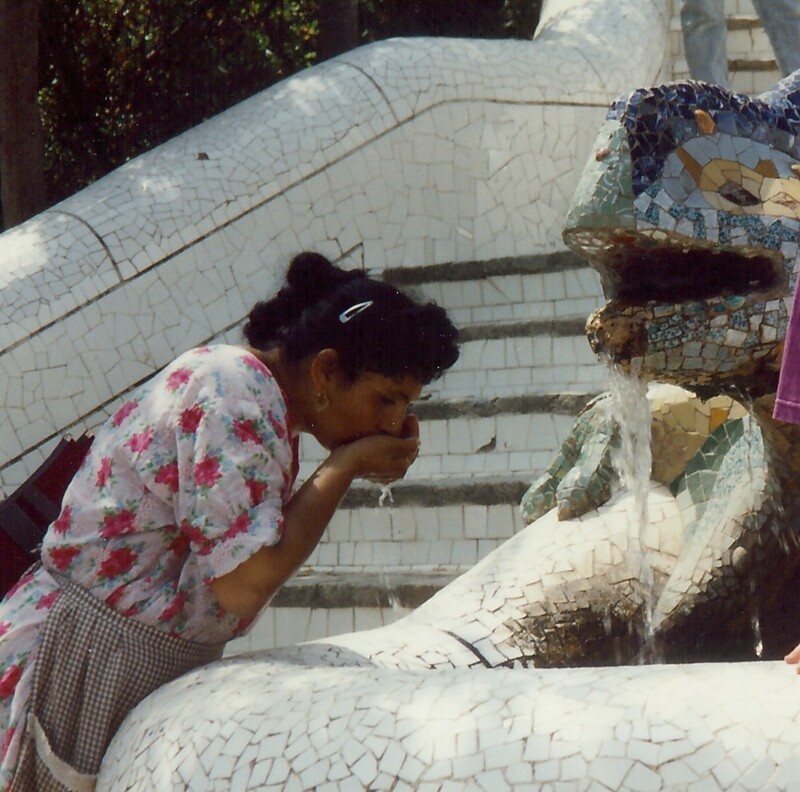 While you may never have been to Park Guell in Barcelona, Spain, I have never visited your part of the world either. So it is nice to be able to learn from one another's travels and experiences via HubPages. Don't you agree? I really enjoy reading your hubs. Thanks for the comment. 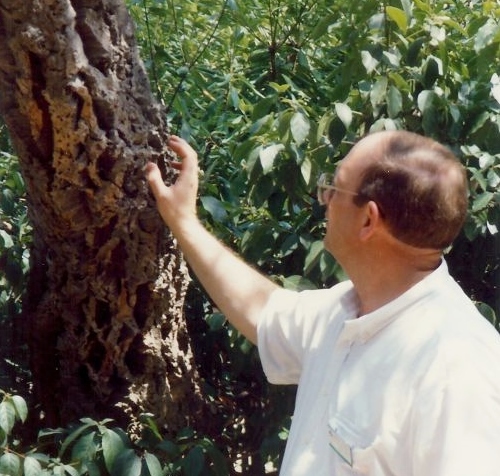 Have you written about Torrejon Spain? Would love to hear about your experiences there and am sure that others would as well. 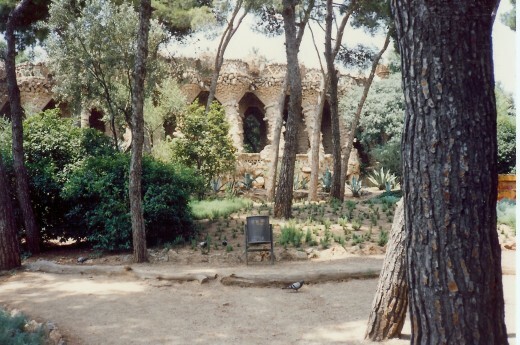 Thanks for your comment on this hub about Park Guell in Barcelona. I have never been away from Asia. I so much enjoy your picture gallery hubs. You are a wonderful photographer. And descriptions of the pictures are lively. 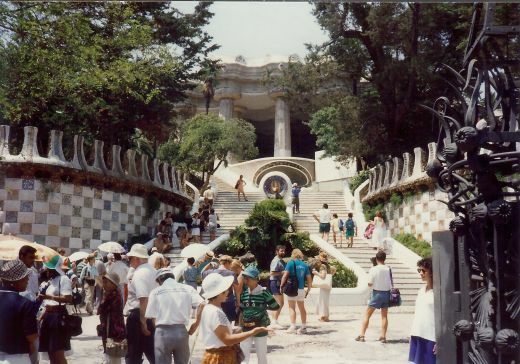 Awesome photos of Guell Park! I lived in Torrejon Spain for 3 1/2 years with my ex-husband when he was stationed at the Air Force Base there. Many of our friends went to Barcelona and I always dreamed of going, but it just wasn't in the budget at the time. We did get to go to Toledo and be tourists for a day, and a few times to Madrid. I would have done more begging if I'd have known how beautiful it is and had I known what all I was missing! So glad that you liked learning about Antoni Gaudi and the unique type of architecture that he did in Park Guell in Barcelona. 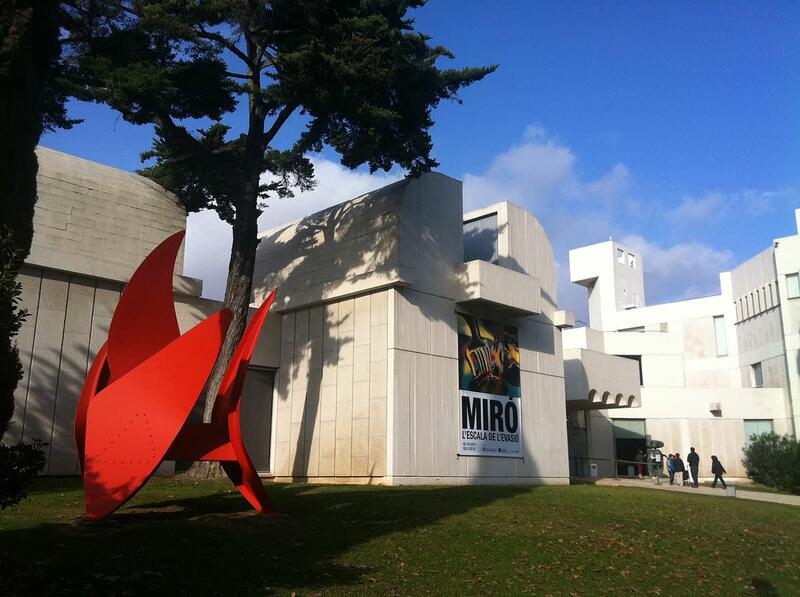 There are other examples of his work elsewhere in Barcelona that we also got to see. Thanks for your comment and vote up. Beautiful captures, Peggy. I had no clue about this artistic man until now. He sure was an icon. Look at the treasures he has left behind for all of us to appreciate. Thanks for such a enlightening hub walking us to barcelona. You did it very well, my friend! 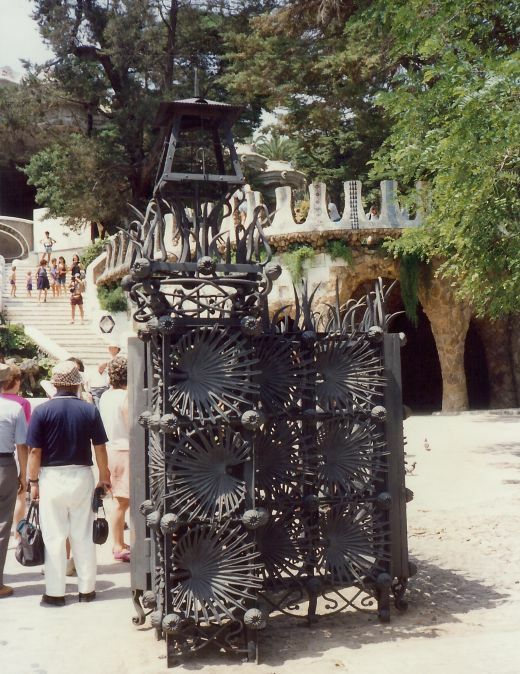 Thanks for visiting this Park Guell hub regarding Antoni Gaudi's imaginative work in Barcelona, Spain. The cathedral that you mentioned has so many different styles built into it as it continues to evolve and it has a long way to go before it will be completed by different hands and with different ideas. Interesting! Thanks for your comment. What a wonderful imagination he had. Yes, I think the park is better than the church-- though in fairness, he didn't get to finish the catherdral. Nice job, Peggy. A third trip to Barcelona! You are so lucky! We only saw it the one time but would love to see Park Guell and other locations again plus others that we missed seeing on our first visit. Enjoy! and thanks for your comment. This morning I have booked flights for a 3rd visit to Barcelona. 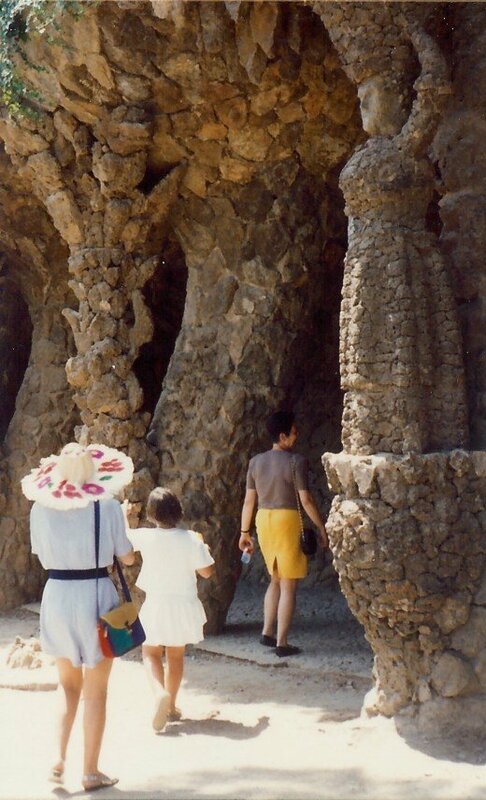 Can't wait to see Parc Guell again and all the Gaudi architecture. Your pictures have made me all the more eager to return. 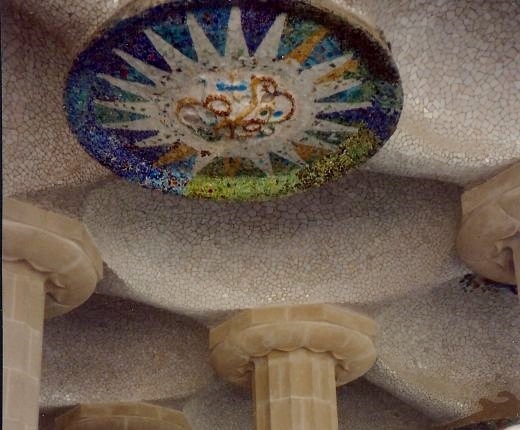 Thanks for this nice comment about my Park Guell hub about Gaudi and his great influence on the architecture of many buildings in Barcelona, Spain. Like you...I would love to return and see more someday. 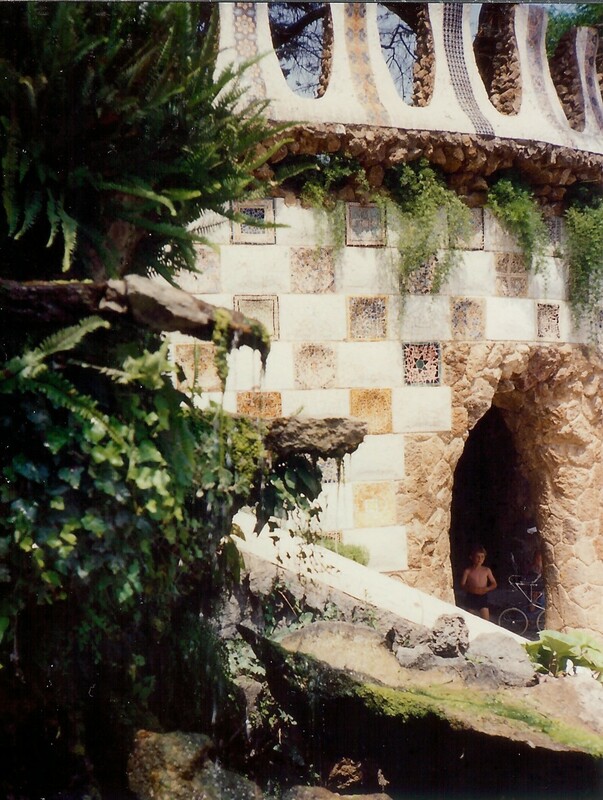 Park Guell is surely one of the most remarkable, exotic and surreal parks in the world. Your thorough and well written review really brings it to life and I look forward to returning to revisit Gaudi's masterpiece someday. 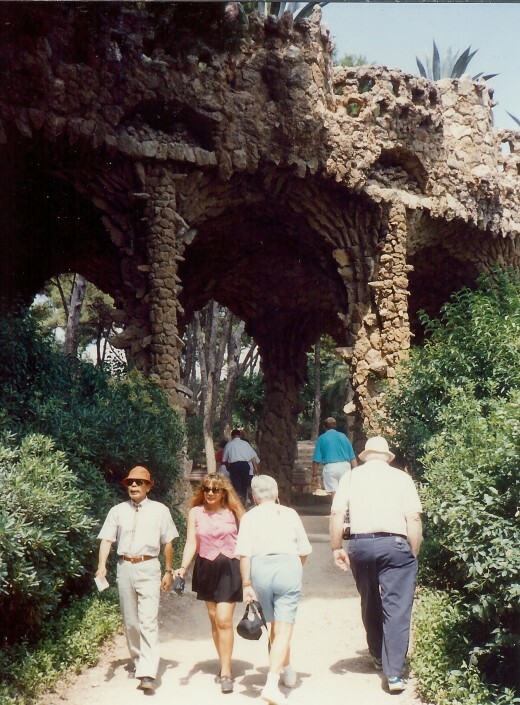 We went to Park Guell in Barcelona, Spain with a tour group and it did not seem crowded. Perhaps we were simply lucky. Gaudi certainly created some interesting buildings in Barcelona and we really enjoyed viewing them in Park Guell and elsewhere. Thanks for your comment and glad that you enjoyed the pictures. I was there in October and it was a pleasure to see your pictures. I must have been there on a busier day as my pictures show a lot more people than yours. Park Guell is definitely one (of many) of Barcelona's highlights. You are fortunate to live so close to Barcelona in Spain. We were there once but if we lived that close you can bet that we would explore much more of that great city! Thanks for the comment. Thanks Peggy, I live about 6 hours drive away but a trip to Barcelona is a must for anyone no matter how far away they live in the world. My favorite city. We only spent parts of 3 different days in Barcelona, the rest of the time being spent on Mallorca. 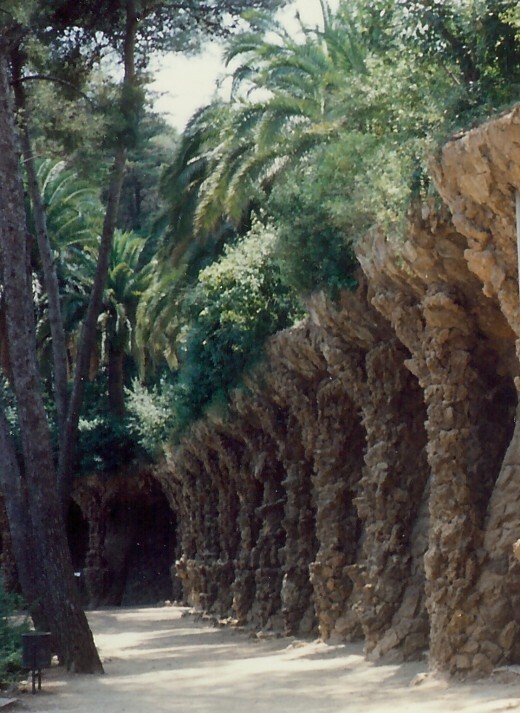 We were so happy to have taken the tours that we did so as to be able to see things like the most interesting Park Guell. Antoni Gaudi certainly designed some interesting structures which stand out among the others in Barcelona, Spain as being unusual and beautiful and fascinating. Guess one can't ask more of an architect than that! Thanks for your visit and comment. Barcelona is a beautiful city and fascinating culture with the Catalan people. 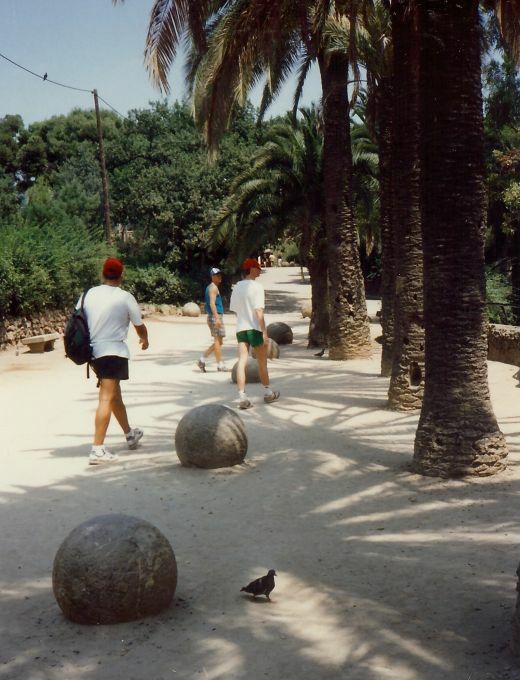 Park Guell looks majestic and so much history as your photos bring out very well. That photo of the sturdy supports under the roadway is awesome for its angular replication. Enjoy yourself in Park Guell. Gaudi's works can be seen there and elsewhere around Barcelona. It is quite a city! Be sure and take your camera! :-) Thanks for the comment. Nice hub Peggy - going here soon! Can't wait! 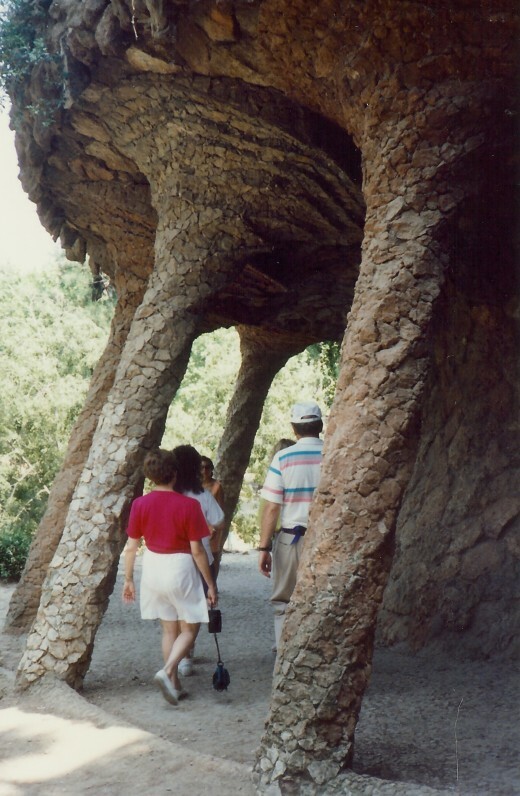 So happy that you enjoyed this hub about Gaudi and Park Guell in Barcelona, Spain. We absolutely loved it when we visited it many years ago. Thanks for the compliment. 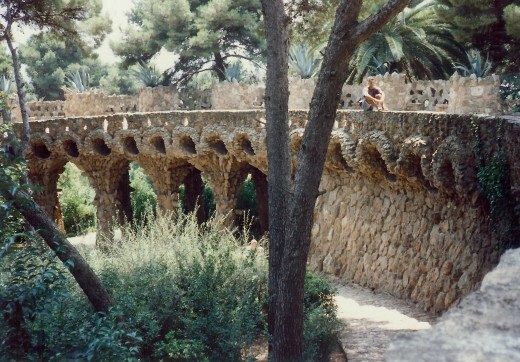 Until we saw Park Guell and the fantastic architecture of Gaudi in Barcelona, we would not have known about it either. Quite the education! Glad you enjoyed it. 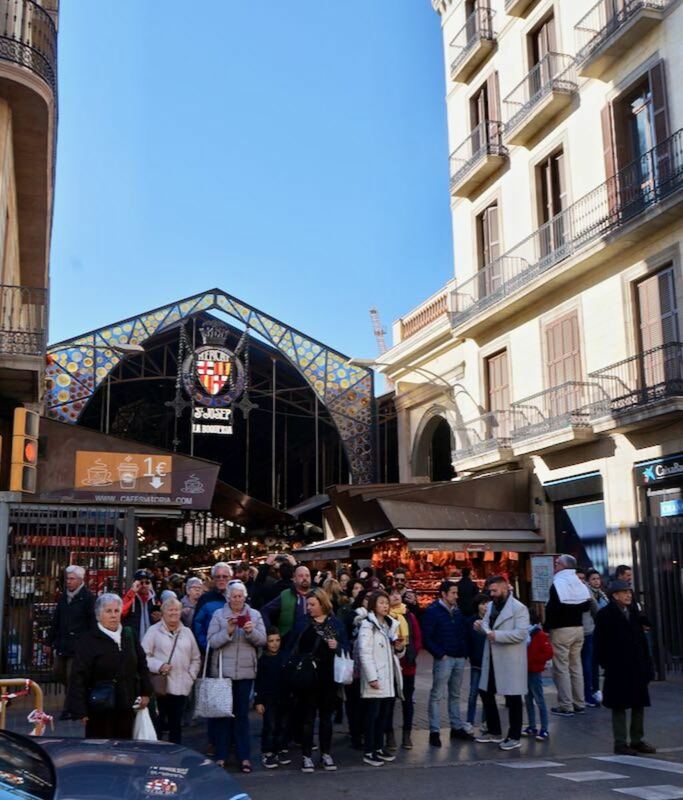 We certainly loved our visit there as you obviously did to Spain's Barcelona with all of its magnificent sites such as Park Guell and the others you mentioned. Would love to revisit it sometime at our leisure. Thanks for the comment! Isn't Barcelona just so very grand! One of my favorite places in the world, full of joie de vivre, so alive, cultural, convivial... The high art architecture of Antoni Gaudi... the energy of la Sagrada Familia...the thrill of Parque Guell. The lilting of the clarinets and Sardanas... This site brings me back to those memories! So glad that this brought back those memories for you. 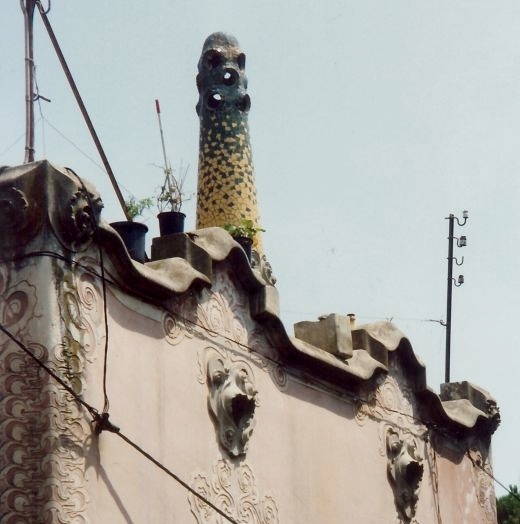 I agree with you that Gaudi's buildings and especially the rooftops are so very different from the norm. I can understand why this memory remained alive for you. Thanks for the comment. I had the privilege of visiting Barcelona when I was in high school and fell in love with Gaudi's work -- some of those roof tops are so surreal (I can still picture them in my mind's eye, but your photos really took me back there). This hub is a treat. So we have both been to Park Guell in Barcelona! I agree with you that Antoni Gaudi was a genius. Loved seeing all the buildings that he was responsible for creating while we were there. Happy that this hub brought back good memories for you. Thanks for the comment. Gaudi was certainly one of a kind. That is my favorite aspect of genius: originality. And he had it in spades. I have been there. Your fine pictures brought back warm memories. Thanks! I am truly honored by your statement because you are an author who epitomizes someone who employs excellent writing skills and you always seem to choose the most interesting of subjects. Thank you! Your hubs are wonderful, Peggy -- always great photos and excellent writing that just pulls me in and makes me want to pack my bags and go to the places you are describing. Thanks for this trip to the park! We were also in Madrid and Toledo as well as Barcelona and Mallorca. 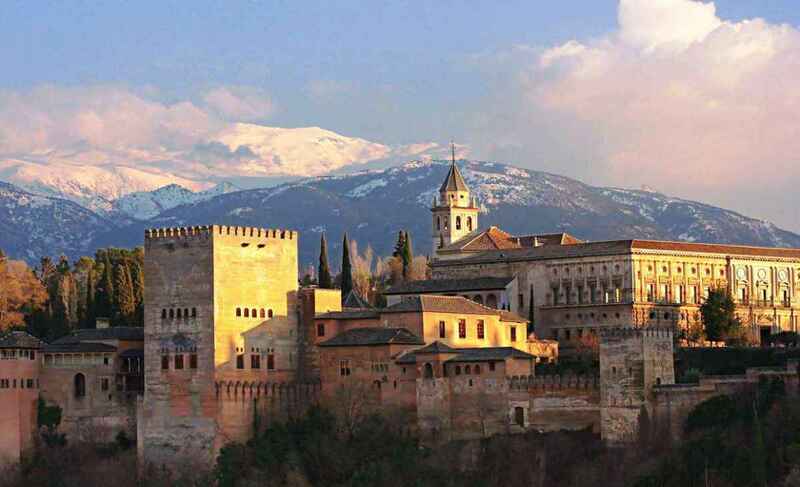 We loved what we saw of Spain and would enjoy seeing more someday. Glad that you enjoyed the photos of Park Guell and Gaudi's buildings. Interesting stuff for sure! 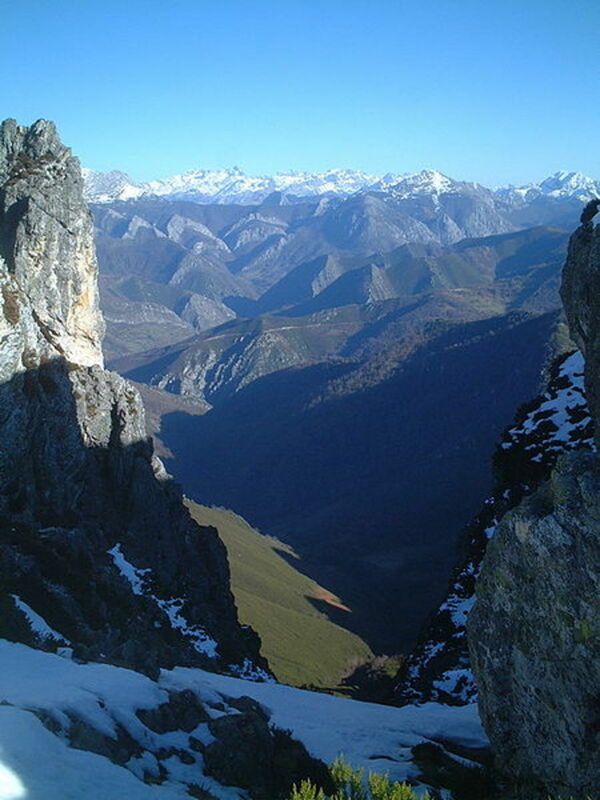 You should write about your experiences in Spain! Thanks for the comment. I have to get back to reading your book that I purchased. Nice having it in the house knowing that I can relax and read it at will. That's a beautiful area. You take some great pictures. 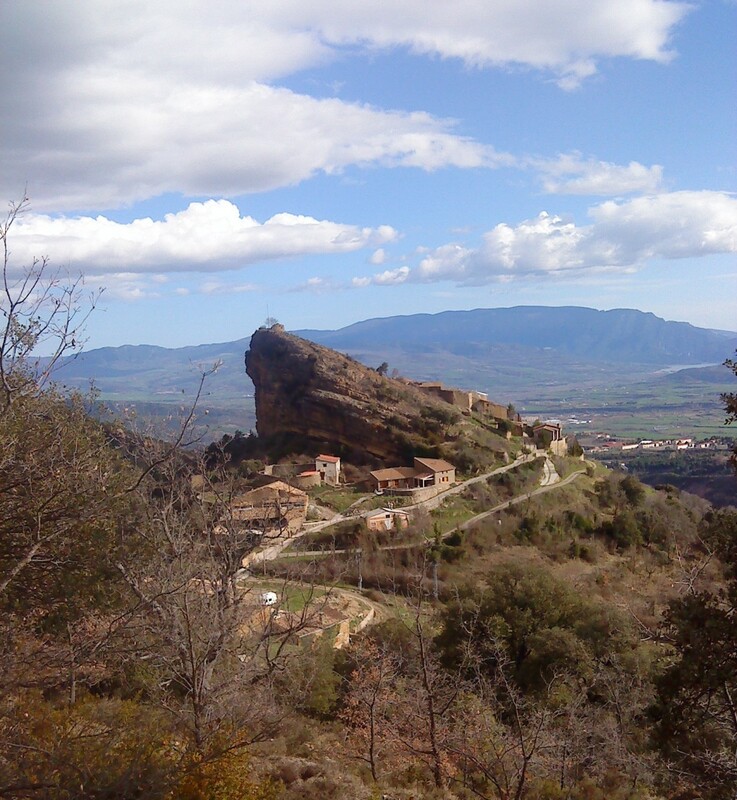 I spent time in another part of Spain. I was in Madrid, Cadiz, Puerto de Santa Maria, and the Spanish Rivera. Park Guell is definitely unique and pretty as well. Thanks for the comment. Gaudi's work is creative and inspired. Park Guell appears to be truly unique. 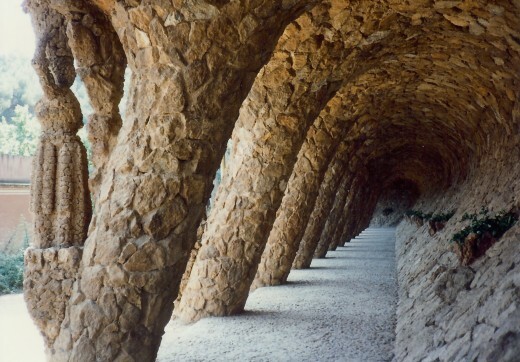 Gaudi's work is truly original and "outside the box" of what most architects create. Park Guell was a real treat to be able to see in person. We saw some of his other creations in Barcelona as well. Another hub perhaps! Thanks for the comment per usual. I appreciate it. Fascinating pictures. I voted before I had signed in but I would love to see Gaudi's work in the flesh,so to speak.